All-Star Shredding, one of Ireland’s leading Shredding Companies offer a range of Shredding Services including Paper Shredding Services, Document Destruction, Document Shredding Services and Confidential Waste Disposal. All-Star Shredding provide On-Site shredding services for our clients. All our Shredding Services are performed in the highest of standards and our team deliver a Confidential and Professional Shredding Service. We are a 100% Irish owned and operated business with an unblemished track record and reputation to boot. In addition to this we are accredited to ISO 14001 the environmental standard which shows our commitment to the environment. This is an indication of reliability, consistency and commitment to quality and environmental standards and tangibly demonstrates our company’s commitment to delivering the highest level of service at the most affordable price. All our work carried out is validated with Certificate of Destruction. Our Confidential Shredding Services can be performed on a regular basis where our collections are set on a weekly, bi-weekly or monthly basis & we also provide a clear out or once off purges. All-Star-Shredding provide secure consoles and bins for storage of confidential materials for regular collections & we provide a range of alternate Shredding Trucks of all shapes and sizes to cater for any demand that may arise. All-Star Shredding’s commitment to quality & service is showcased through our accreditation to ISO 9001 quality standards. Our On-Site Shredding Service is carried out at your premises and under your supervision by means of our Mobile Shredding unit, which guarantees increased security, confidentiality and quality. Customers can supervise all work performed which is validated with a Certificate of Destruction and we also provide itemised collection dockets to ensure you have an audit trail for your records. All-Star Shredding’s, Shredding Service is a Nationwide Collection Service and collections are carried out by our fully trained & professional team with identification. All our staff have full Garda Clearance as standard. All-Star Shredding provide a regular collection service and we tailor a servicing schedule to suit the customer’s requirements. This is offered for our on-site shredding services. Our Confidential Shredding Service can be performed on a regular basis where our collections are set on a weekly, bi-weekly or monthly basis or subject to requirements. All-Star Shredding, provide a range of products to hold your confidential waste. 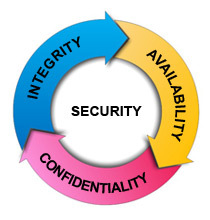 We provide secure consoles and bins for storage of confidential materials for regular collections. We provide a range of alternate Shredding Trucks of all shapes and sizes to cater for any demand that may arise. The shredding process is entirely controlled by All-Star Shredding, from collection to destruction and recycling. In terms of On Site Shredding, a member of our professional service team will arrive at your premises at a scheduled time and date. 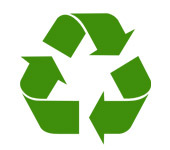 Our staff will collect bags & bins and will then transfer them to the mobile shredding unit whereupon they are shred. The procedure can be witnessed by your staff members and is performed on your premises for high quality, professional and secure service. Our staff will transport material to our secure mobile units and material is then transported back to our secure facility to be shred on the same day. All-Star Shredding provide a Bulk shredding or “Once-off” shredding service. We provide a clear out service for customers who have small or large quantities of confidential waste to dispose of. Whether it be a few small collection of boxes or bags to an office full of documents, we will provide a shredding service to cater for your needs. This service is ideal if you need to clear out storage areas, if you are relocating or just purging old data.This service is ideal for businesses that: Are moving premises, Are having a clear-out, Freeing up valuable space, Large sums of material and documentation that has built up over a long period of time. We provide a guarantee for all material in our possession, issue destruction dockets and we operate to the highest of standards to provide exceptional service. For enquiries & quotations on Paper & Document Shredding. All-Star Shredding, Ireland’s leading Shredding Company. We are using cookies to give you the best experience on our website. Find out more about which cookies we are using by clicking the Learn More button.